For my final installment of Autism Acceptance Month 2015, I have decided to interview a FaceBook friend. This is Elinor Broadbent, who is a moderator of many FaceBook groups for autistic people, such as Âû (Autistic Union) and Autism: We Are a Race Not a Disease. She lives in Australia. 1. Tell me about your childhood. When were you diagnosed as autistic? I was not diagnosed with Aspergers Syndrome until I was 32 years old. As a result my childhood was quite challenging at times, especially at school where I was labeled as a lazy daydreamer, rebellious, stubborn or strong-willed and generally incompetent. Although I had a close group of friends, I preferred to spend my time alone in my own little world. I loved to read and was very interested in how things worked. With my father’s encouragement I learned to rebuild car engines by the age of 8 or 9 and was very much a tom boy. I had no interest in dolls, dresses or playing princesses. I preferred to explore, build things and to get lost in the science fiction world through books and shows like Doctor Who or Star Trek. 2. Do you have any comorbid conditions often associated with autism, such as ADHD? School was an extra challenge for me because as well as being diagnosed with Asperger’s I also learned that I have a condition called Dysgraphia. Dysgraphia is essentially a problem within the frontal lobe of the brain which effects handwriting. While I knew exactly what I wanted to say in essays and school assignments transposing thought onto paper was a near impossibility. My hand writing, which was done all in capitol letters was barely legible and in those days there were no computers for word processing. My words often ended up as a jumbled mess and it always took me four times as long as the other students to complete work. This lead to a great deal of frustration from my teachers and my inevitable failure at school. I also have a condition called Prosopagnosia (Facial Blindness) where I do not recognize people by their facial features but am dependent on things such as posture or defining features such as scars to be able to recognize someone. Those closest to me I can recognize by their face but if they change their hair style or something to that effect then it takes me a lot longer to recognize them. I actually find this much more of a hindrance than my autism. 3. What kind of education did you receive? After failing school the first time I, went back and completed my Victorian Certificate of Education (VCE), I think some countries call it senior high, and since that time have also gained some qualifications in business management, mechanics and I have recently deferred a degree in Psychology in order to tend to family needs and job commitments. I am hoping to return to study next year. I work part time at a local supermarket as a Customer Service Supervisor which is a fancy title for someone who acts as manager when they are not around. Customer service and autism generally don’t mix well together, but I have taken it as an opportunity to challenge myself and grow in my personal character. In the 4 years I have worked there I have certainly learnt a lot about myself in terms of my coping mechanisms, what triggers an autistic meltdown, and in managing the stresses of dealing with people. 5. Why are you a Christian? My Christian faith began with my mother, who took me to church as a child. I have always been attracted to the spiritual element of life and when my mum left the church I decided to keep going. The Bible is full of great wisdom and it gives people a sense of purpose, hope and community. 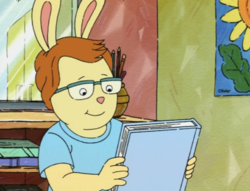 Arthur, based on the book series by Marc Brown is the second-longest currently-running show on PBS, after Sesame Street. It follows the daily life of Arthur Read, and aardvark living in the fictional Elwood City, and all his friends, including a moose named George. What I think is great about the show is that it has an autistic rabbit named Carl. Carl was introduced in the episode “When Carl Met George” (aka “The Missing Puzzle Piece”). He went on to appear in four episodes, not counting cameos. He was voiced by Dwayne Hill in his first appearance, but beginning in season 14, Dylan Hoener became his voice actor. His debut episode is told from George’s point of view. At the beginning of the episode, we are introduced to Carl. George tells us Carl is honest and knowledgeable of various topics, and hard to stop when he gets talking about them. (showing off the “little professor” trait aspies are often characterized with) We learn that two of his interests are trains and puzzles. The rest of the episode is told in flashback and recounts how they became friends. As an autistic, I like to read blogs by others like myself. Autism $peaks ignores bloggers like myself because we protest against their rhetoric. Their rhetoric states that we are lost. Well we are not missing. We are loud, and we are speaking, and we matter. As part of Autism Acceptance Month, I’m sharing blogs that Autism $peaks would rather you not read. This is by no means an all-inclusive list. If I were to list every blog by an autistic, I’d take way too long. But these 10 will get you started. 1. Autism Women’s Network (autismwomensnetwork.org): As the name implies, this site is an all autistic women’s site. Three of the five major writers–Kerima Çevik, Jane Winegardner, and Cynthia Kim–all have blogs of their own. My favorite blogger on the site is Amy Sequenzia, a non-verbal autistic also diagnosed with cerebral palsy and epilepsy. She has a separate blog that provides links to her articles both on Autism Women’s Network and Ollibean (http://ollibean.com/), a community for disabled people of all types. The blog can be reached at nonspeakingautisticspeaking.BlogSpot.com. 2. Autistic Hoya(http://autistichoya.com): This blog is maintained by Lydia Brown, a senior editor at Autism Women’s Network. She is a student at Georgetown University (hence the blog’s name.) In addition to her writings, she has also protested against the Judge Rotenberg Center. 3. Stimey Land (http://www.stimeyland.com): This is Jane Winegardner’s blog. She is a mother of three boys, one of whom is named Jack, and happens to be autistic as well. 4. The Autism Wars (http://theautismwars.BlogSpot.com): This is Kerima Çevik’s blog. She is an African-American and has a nonverbal son named Mustafa. She is also an active participant in the Autism Education Project. 5. Neurowonderful(http://neurowonderful.tumblr.com): This is the home of Amethyst Schaber, who also has a YouTube series called “Ask An Autistic”, where she answers questions sent to her Tumbler, FaceBook site, or her YouTube Channel. Her YouTube Channel can be reached here: https://www.youtube.com/channel/UC9Bk0GbW8xgvTgQlheNG5uw. Every year, Autism Speaks uses the month of April as their fundraising campaign for “Autism Awareness”, asking everyone everywhere to “light it up blue”. (Ever wonder how they picked blue? They wanted to represent the boys on the spectrum. As they never “light it up pink”, my guess is girls don’t count. Either that, or they’re afraid they’ll get some heat from the Susan G. Komen foundation, who uses pink for their annual campaigns in October.) As my Facebook friend Amanda Sebra once told me, “Everyone is already ‘aware’ of autism.” Since I’ve already posted two articles about my hatred of the so-called charity in two posts, I’ve decided to counter their negativity towards autism with a series of positive articles. First up, a list of ten famous people and historical figures on the spectrum. If you can think of any I forgot, you can email me at rocklobsterjwt@gmail.com. I might make another version next year. Note: Any historical figures on this list are speculation, but I’m including them anyway, because based on what I know about them, I’m not surprised that they’re thought to be on the spectrum. 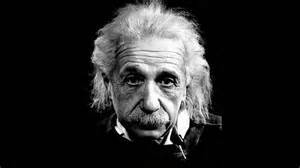 Albert Einstein (1879-1955) The man behind the Theory of Relativity and the founder of the Manhattan Project, which developed the atomic bomb, an invention he later regretted. One of the original “Not Ready For Prime-Time Players”, as the original cast of Saturday Night Live was referred to in the 1970’s. After his tenure with the show, like so many former cast members, he went on to star in movies. 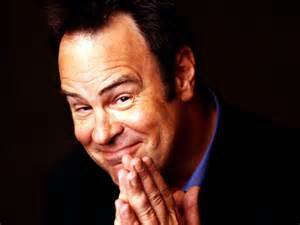 Among his movies are The Blues Brothers, Ghostbusters I and II (which he also produced with Ivan Reitman), Driving Miss Daisy (which earned him an Oscar nomination for Best Supporting Actor), Trading Places and both My Girl movies. 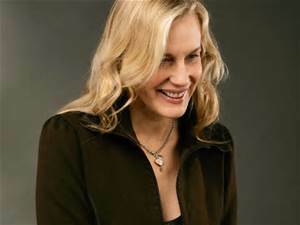 This actress has starred in such movies as Splash, Kill Bill and the classic sci-fi movie Blade Runner. 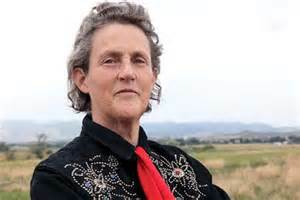 For more about this prominent figure in the autism community, read my blog post about her here. 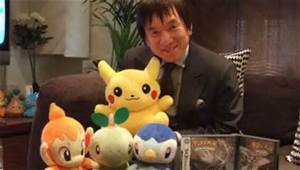 The creator of the Pokémon franchise. He was inspired by seeing two children playing Game Boys with a link cable and imagining insects crawling on the link cable. Now you know why the game is often split into two cartridges and requires players to trade Pokémon! 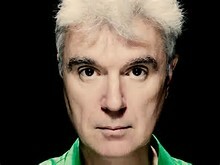 The former frontman for Talking Heads, one of the forerunners of the alternative music scene in the 1980’s. After the band folded, he went on to a solo career. 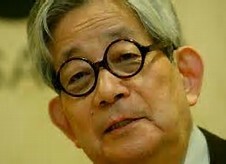 A non-verbal Japanese classical music composer. Ōe is actually a savant.